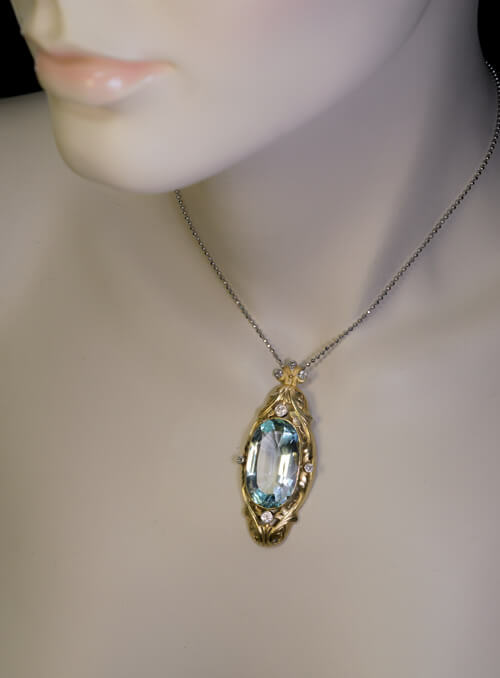 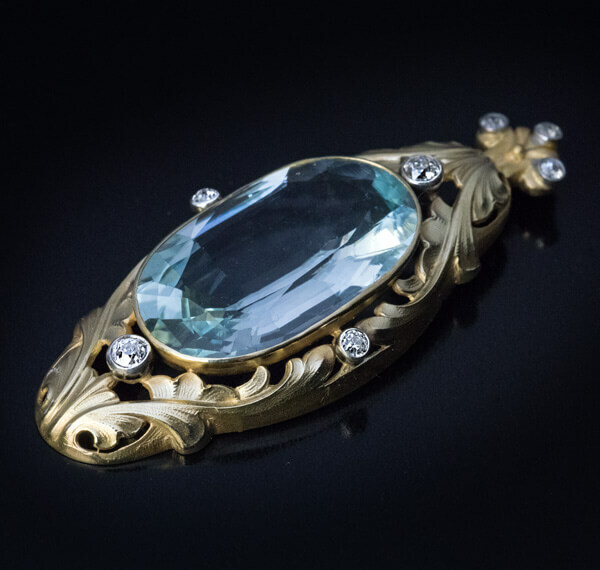 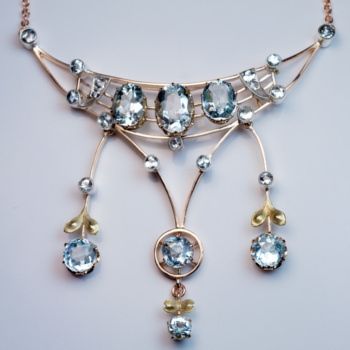 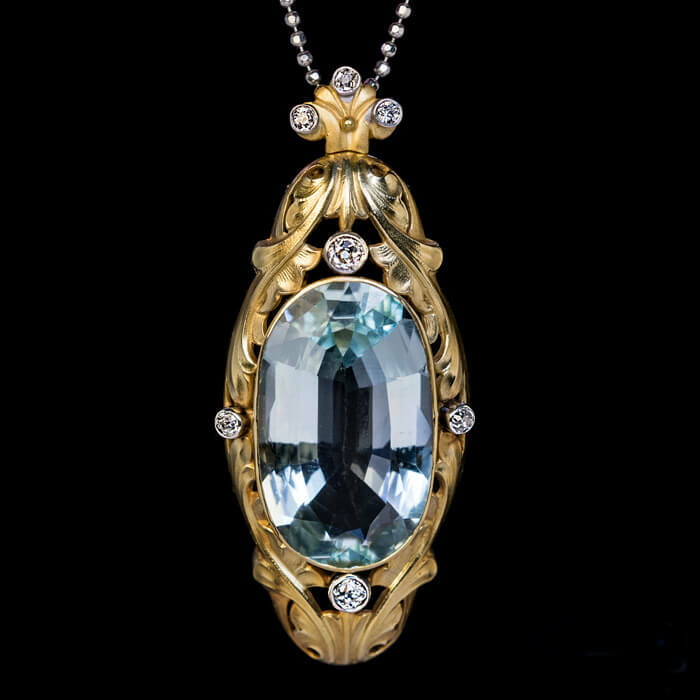 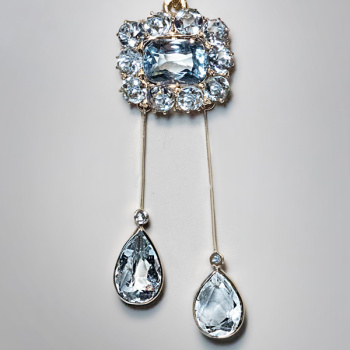 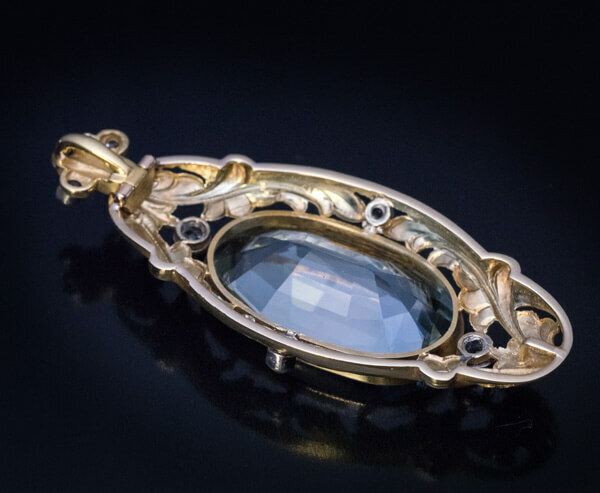 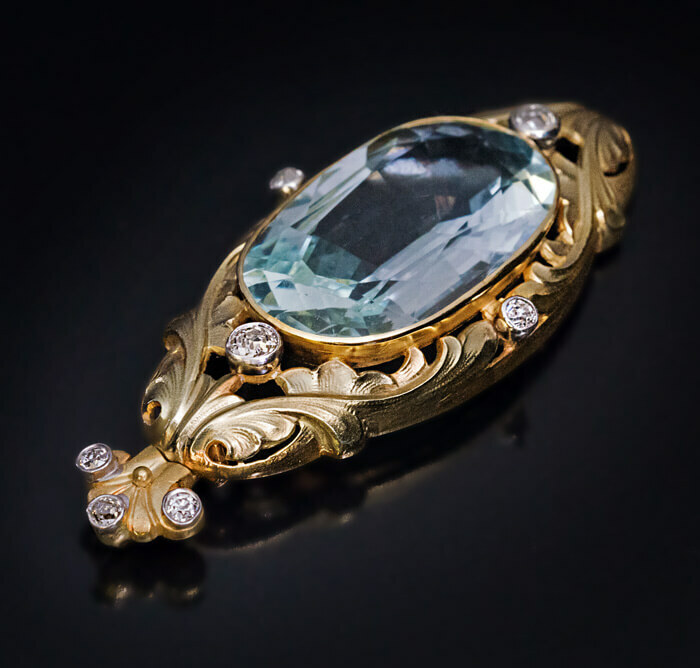 An antique 14K greenish-yellow pendant features a large oval natural aquamarine. 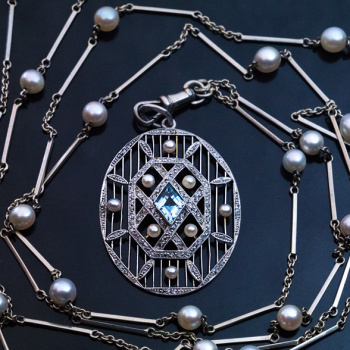 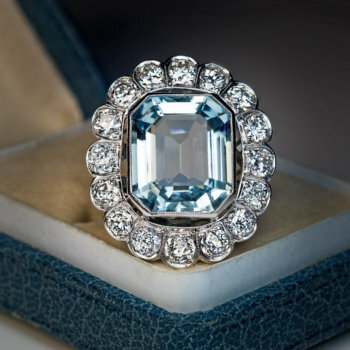 The aquamarine is set in an openwork scrolling foliage motif frame embellished with old cut diamonds set in silver bezels. 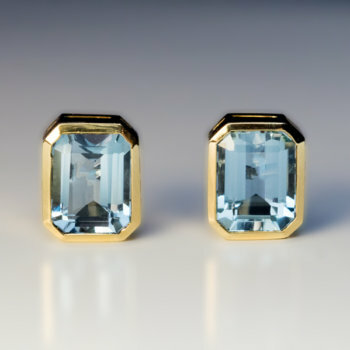 The aquamarine measures 26.84 x 15.98 x 8.61 mm and is approximately 20.24 ct. 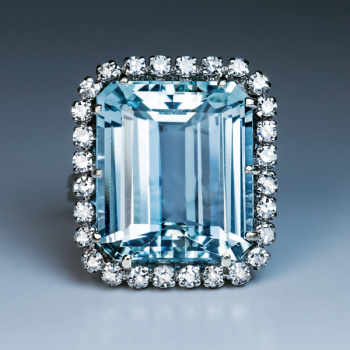 Estimated total diamond weight is 0.60 ct.